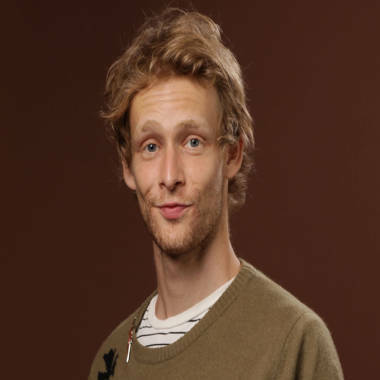 Actor Johnny Lewis, 28, who starred in the series "Sons of Anarchy." Johnny Lewis, an actor in the popular “Sons of Anarchy” motorcycle-gang cable drama, died early Wednesday in Los Angeles, suspected of killing his 81-year-old former landlord, Catherine Davis, and possibly himself. It’s part of a new wave of synthetic drugs finding their way onto America’s streets and into its clubs. With the chemical name 2,5-dimethoxy-4-iodophenethylamine, it is known by drug agents and chemists as 2C-I, part of a closely-related family of “2C” drugs. While Smiles may seem obscure, it’s already done damage, and not just in drug-hip Hollywood. When 18-year-old Adam Budge of East Grand Forks, Minn., gave a derivative of the Smiles drug to his buddy, 17-year-old Elijah Stai, of nearby Park Rapids this year, Stai wound up dead. The drug was supposed to be a cheap, harmless high. But within an hour of mixing the powder into some chocolate and eating it, Stai was convulsing, hallucinating, and eventually stopped breathing. Now Budge faces charges that could put him in prison for many years. Like all the 2C drugs, it’s a psychoactive, hallucinogenic chemical that alter the brain’s balance of dopamine and serotonin. Smiles is particularly powerful, binding to serotonin receptors in the brain at 20 times the rate of another drug used in schizophrenia research, according to an experiment performed by Purdue University chemists. The effects of 2C-I, like those of LSD, can last up to eight hours. But because the effects can take time to appear, users may think they haven’t taken enough to get the desired high, and so take more, risking overdose. The drug can be taken as small tablets, on pieces of blotter paper like LSD, or in powder form, often mixed with something else, like chocolate. Labs, often located in Europe or Asia, can use legal, common chemicals to produce huge batches of the drugs. Once one formulation is discovered, and banned, all the chemists have to do is slightly alter the structure of the molecules to create another, potentially legal, substitute until that one is banned. There is no known geographic hot spot for the 2C drugs, unlike, say, methamphetamine, which became known as a rural, small-town problem. The U.S. Drug Enforcement Administration believes that most, if not all, the 2C drugs are being imported to the country, not made domestically. Often, Payne said, teens rationalize the use of the drugs because they think, or are told, that it’s legal and if it’s legal, it’s safe. Another problem is that users often think they’re taking something else. Users aren’t the only ones who are often in the dark. According to Payne, even the DEA’s own agents are behind the curve when it comes to designer synthetics. “It’s tough for our agents to stay up to date,” he explained. “Chemicals that used to take years to synthesize now take months. And many chemicals are diverted” from legal uses to illicit ones. Chemical and pharmacologic research appears in journals, is posted online, and becomes easily available to all. That is often a good thing, but it also allows rogue chemists to use the science to create new analogs of drugs like 2C-I. The drug “Spice,” for example, which made headlines over the past two years as a marijuana substitute, began as a research project by a Clemson chemist named John W. Huffman. He was doing the research under the auspices of the National Institute for Drug Abuse. “This synthetic stuff is the new frontier of drugs,” Payne said.